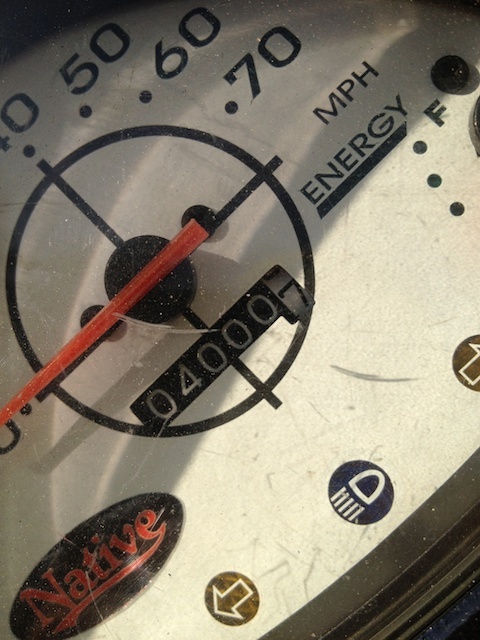 Four thousand miles in two and a half years in a car isn’t much but on a scooter it’s a bigger deal, especially when it’s all on local streets! I took this photo over a month ago but have been busy traveling so haven’t ridden much since. 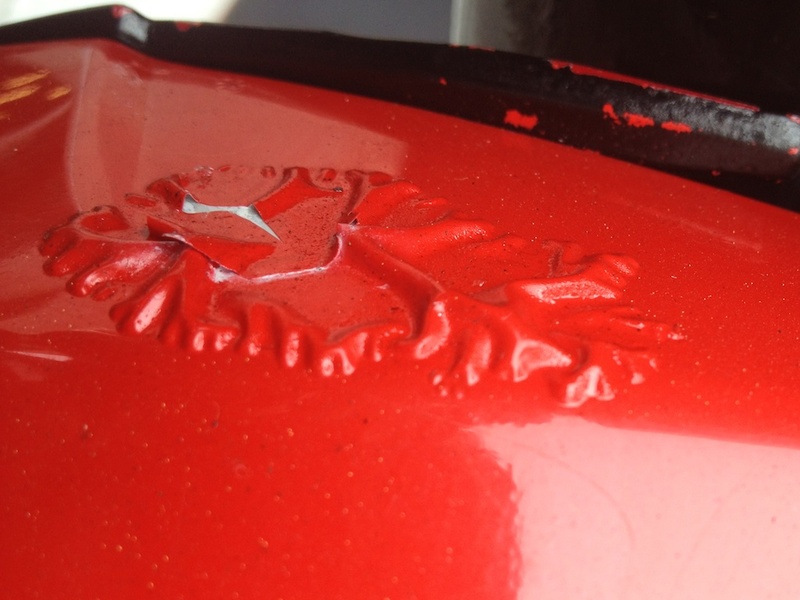 My scooter has also spent a week of the time in the shop trying to figure out why my performance has so severely dipped. My guesses had included the controller and the possibility of a need to replace the brushes in my motor but the problem turned out to be even simpler. One of the sixteen cells in my lithium ion battery pack had failed, presumably due to a defect. The cell is under warranty so I just paid a small sum for the labor to replace it and my scooter is super fast again! A three volt+ drop is a big deal for a lithium ion pack so no surprise that it would have had a huge affect. It’s now quicker to hit 40mph then it was to hit 30mph with the bad cell. There remains a possibility that the battery balancer that connect this cell to the adjacent one is at fault and if so the problem may recur. I’ll be bringing it back into EMS so they can check the cell voltages in a week or so just in case that is the problem. In the meantime, it’s great to have the peppy performance that made this scooter the awesome ride it is. How well as the Z6000 held up in its first 4000 miles? Two welds came loose inside the scooter. One was re-welded the other was secured using zip ties. Not as good as a weld should be but it’s holding fine. Electric Motorsports has been good about all of the service and have been generous enough to only charge for a portion of the time they have spent working on my scooter. Fortunately, I’ve only needed to be towed once in those 4000 miles and with all of these issues. And it’s hard to find an electric scooter that would perform as well and be a better deal. The Vectrix Vx-2 for example would have cost me more and at that price would have come with silica-gel batteries rather than the Lithium ones I have now. The VX-1 is a completely different class of vehicle. The Zapino, imported by Zapworld, doesn’t perform as well (in terms of power and handling) and is known for it’s own quirks. Until these scooters are made by major manufacturers who provide greater quality control I’m afraid dealing with some headaches will be inevitable. I still love my scooter and rely on it for my daily transportation, but if I didn’t have other options to fall back on including public transportation, zipcars parked just a block away, and the occasional chance to use the family car (which I my wife uses primarily), this wouldn’t be as practical an option.